Would You Pay Facebook Money For More People To See Your Status Updates? 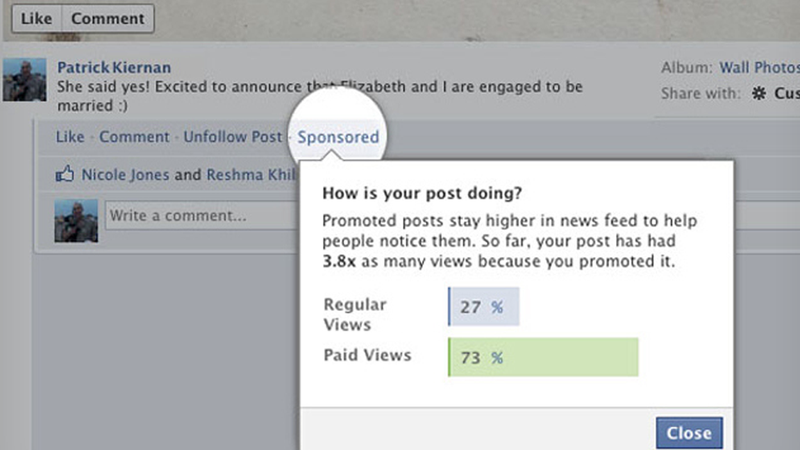 Today Facebook began testing Promoted Posts. You're familiar with these advertisements from brands, but now civilians can get in on the game too. If you want more of your friends to see your funny one-liners or important life announcements, you can pony up a little cash money and Facebook would give these posts more visibility. The price hasn't been officially set, but it's supposed to be around $7. Coincidentally, it's about the same amount of pesos for a dozen Krispy Kreme donuts.